Whether toxic, abrasive or sensitive liquids � the ecoflow diaphragm metering pump is the first choice for almost all fluids. Our experts design drive units and pump heads for you individually. 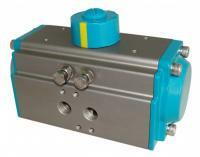 The ecoflow series implements a flow rate of up to 19 m�/h per pump head and a discharge pressure of up to 1200 bar.